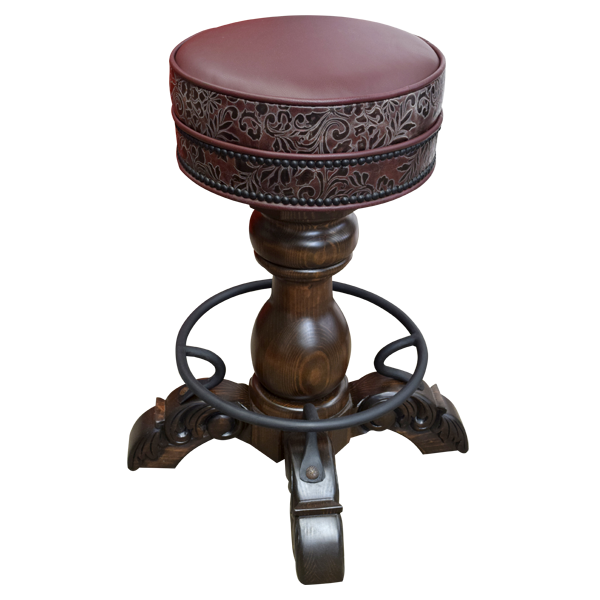 This lovely bar stool is covered with highly embossed wine colored leather on the sides of the seat, with solid wine colored leather on the top of the seat. 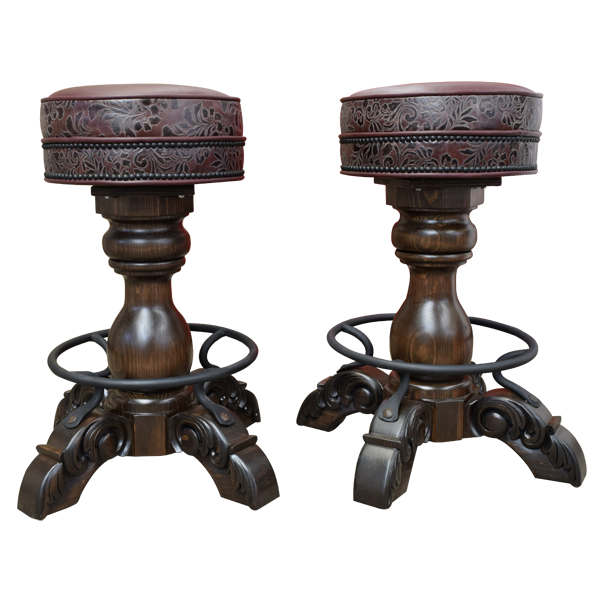 The skill of our craftsmen is reflected in this gorgeous piece of handcrafted furniture which will serve your family for generations. 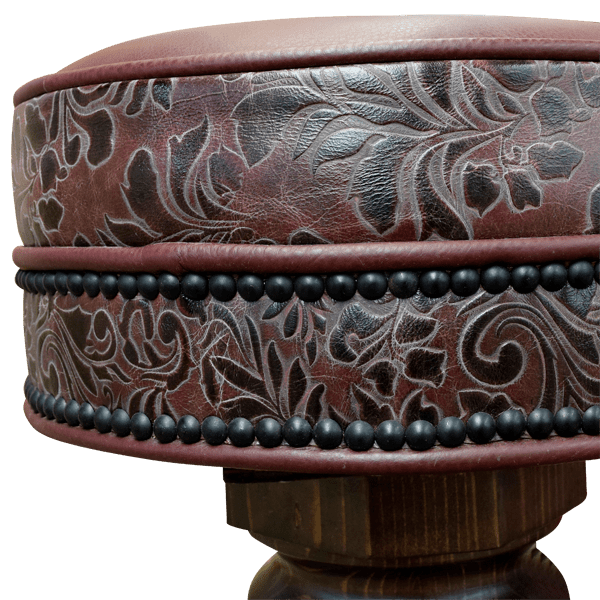 This bar stool contains the same designs as found in all El Matador Bajo bar stools, such as a circular top covered with rich leather and real cowhide hand tacked around the base, trumpet pedestal, four hand-carved feet, and hand forged iron circular footrest. Like all of the designs in our El Matador Bajo bar stool series, it swivels 360° and is customizable.